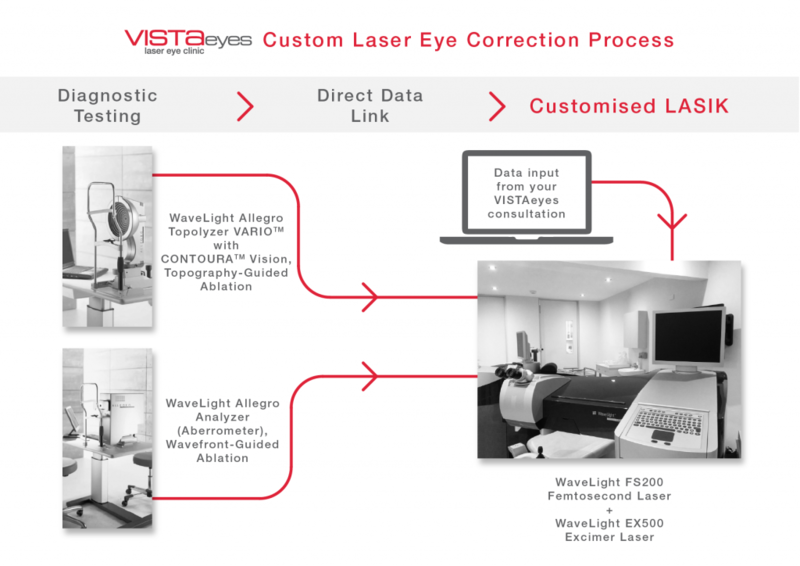 Technology is a vital part of performing effective vision correction procedures. With an absolute commitment to optimal patient outcomes, Dr Rick Wolfe realises the need for continued investment in the latest technology to be a leader in the industry. Wavefront-guided and topography-guided laser eye surgery treats the individual irregularities of the patient’s cornea, significantly improving visual outcomes. These devices have a direct data link to the WaveLight EX500 Excimer Laser, ensuring a highly customised procedure. For LASIK patients, the Wavelight FS200 Femtosecond Laser is used to create a corneal flap. This laser offers the world’s fastest flap creation times, with standard flap creation in just 10 seconds. This makes the procedure far more comfortable for our patients. For both LASIK and ASLA patients, the Wavelight EX500 Excimer Laser reshapes the cornea and corrects your vision. The laser has the world’s fastest ablation time at 1.4 seconds per dioptre, offering a fast, accurate laser treatment. The Wavelight EX500 Excimer Laser also has a 1050Hz multi-dimensional eye tracker, with dynamic pupil-tracking technology. Even when your eye moves, the treatment remains perfectly centred making this laser one of the safest, most effective lasers available. At VISTAeyes, our state-of-the-art diagnostic devices and lasers ensure our patients achieve their best possible vision. As well as investing in state-of-the-art technology and training, we are continually keeping abreast of the latest advances in eye surgery, both internationally and in Australia, to provide patients with the highest standards available.